The German Chancellor, Angela Merkel, said in her New Year speech that Islamist terror is the biggest threat to Germany: – As we continue to live our lives and go to work, we say to the terrorists: you murderers are full of hate, but you will never dictate how we live or how we want to live. We are free, compassionate and open. 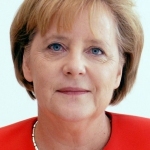 Merkel called for mobilization around our established social code and values. How do we identify and neutralize the terrorists? We need the help of other Muslims, who in solidarity with us fight for our open society and reveal the killers. How will we be able to coexist with the decree that only one truth is allowed to prevail? However, Muslims who help us put themselves into a precarious situation. Islam’s ancient canon allows no reform, so they are exposed to the literal interpretation of the Qur’an, which penalizes any deviation, whether Sunni or Shi’a. When will the Islamic equivalent of the Jewish and Christian Reformations be launched? Is the Western world, in response to Islamist terror, possibly on its way to setting aside centuries-old insights into understanding, tolerance, compassion, reconciliation and respect? Are we in fact facing a new era of (male) make power, in which physical strength replaces reason and sense? Are we going to replace consensual solutions with populist illusions or, even worse, ruler decrees? Governed by an authoritarian regime that aims to destroy Islamist terror and to eliminate any opposition, the Assad government used nerve gas against its own people, without reprisals from the West. Eleven million Syrians are refugees. About 500,000 have been killed. Elsewhere, another 500,000 Iraqis have been killed since 2003, in the ongoing conflict between Sunnis and Shi’as and various terrorist organizations. The war in Yemen between a coalition led by Saudi Arabia and the Iran-backed Houthi militia, has so far killed over 10,000 people, according to the U.N. The West’s most powerful countries have lost ground against totalitarian oppression, resulting in horrific abuses in Syria, Iraq and Yemen. In Syria, the Assad regime, buttressed by Putin’s Russia and the mullahs of Iran, has vigorously and ruthlessly cracked down on any resistance from a variety of opposition groups. This variety has proved to be the West’s Achilles heel: a failure to understand the clan and tribe loyalties of the rebel groups, which often include unholy alliances. This lack of insight has been the hallmark of the Western democracies. The West’s open, democratic and humanist society stands against a closed, theocratic and selectively humanistic world view, in which only one truth is allowed to prevail. Perplexity about how to respond to this threat lies at the base of the West’s conflict with large parts of the world which are controlled by the opposite of transparency. The West has, to borrow from the description of the 17th Century philosopher, Immanuel Kant, gone from immaturity to maturity; a process which the post-structuralist Michael Foucault also sees. But is this maturation only a flimsy version of a good society? Are we not capable of defending our open society, and fighting for our centuries-old ideals against the threat of immature societies? Yes, we can. When we consider our freedom, which the rest of the world would so dearly like to live in, we understand how favored we are, and that nothing is worth more than defending our democratic and humanist society. Do not let other people’s intolerance kill our tolerance. Article published in Swedish online magazine Tidningen Kulturen 2017-01-02.